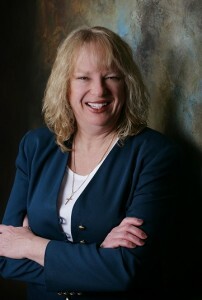 Mary Ellis is the bestselling author of many books, including A Widow’s Hope, Sarah’s Christmas Miracle, and An Amish Family Reunion. She and her husband live in central Ohio, where they try to live a simpler style of life. Amy King—young, engaged, and Amish—faces life-altering challenges when she loses both parents in unexpected tragedy. Amy’s finance, John Detweiler, persuades her to leave Lancaster County and make a new beginning with him in Harmony, Maine, where he has relatives who will help them. John’s brother Thomas and sister-in-law, Sally, readily open their home to the newcomers. Wise beyond his years, Thomas a minister in the district, refuses to marry Amy and John upon their arrival, suggesting instead a period of adjustment. While trying to assimilate into the ultraconservative district, Amy discovers an aunt who was shunned. Amy wants to reconnect with her, but John worries that the woman’s tarnished reputation will reflect badly on his beloved bride-to-be. Can John and Amy find a way to overcome problems in their relationship and live happily in Harmony before making a lifetime commitment to each other? Moving with John, her fiancé, to a more conservative Amish district, Amy faces unexpected challenges. Because her parents are dead, Amy is pleased to locate an aunt who was shunned by the Amish. Amy travels to visit her aunt against John’s wishes. Her trip and finding that she cannot trust John causes Amy to doubt the wisdom of marrying John. An accomplished writer, Mary Ellis gives the reader strong, distinct characters. 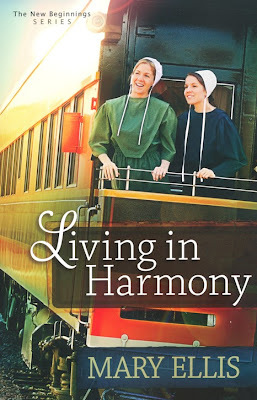 Her descriptions of the ways of the Amish bring the reader into the community, the household, and mindset of the characters. Remember: leave a comment on THIS post by 6 p.m. CT Sunday, August 5, 2012 and you'll be entered in the drawing for a copy of Living in Harmony by Mary Ellis. You must be eighteen, have a U.S. mailing address, void where prohibited. Please, please remember to leave your email address so that should you be the winner I can get in touch with you for your mailing address. Thanks for coming my blog and leaving a comment. More book giveaways soon. Sounds like a book that I would love to read. thank you for the opportunity to discover a new author to read. You're welcome. Thanks for reading my blog and for leaving a comment. It's great to find a new author that you enjoy reading. Thank you for hosting this giveaway, and for a great sounding book. Would love to win this, I love Mary's books. Wendy, You're welcome. If you already love Mary's books you won't be disappointed in this one. Thanks for reading my blog and leaving a comment. Karenk, You're welcome. I appreciate your faithfulness to read my blog. Thanks for the comment. I have been reading a lot of books Amish related lately and really enjoying them. This sounds like a very interesting book and would love to win a copy. Thanks for the opportunity! Jo, you're welcome. You would enjoy this book if you've been enjoying reading Amish books lately. Thanks for stopping by and commenting. I've read other books written by Mary, and they are all excellent. I'd love to win a copy of her this one. Thank you for this review and for offering this giveaway! Nancee, you're so welcome. If you've read Mary's previous books, this one won't disappoint you. Thanks for stopping by and leaving a comment. Amy,thanks for reading my blog and for leaving a comment. You'll enjoy the book when you get it. Rose, you're welcome. Thanks for continuing to read my blog and for your comment. This book sounds so good. Would love the chance to win and read it. Thank you. Karen, you're welcome. Thanks for leaving a comment and reading my blog. More giveaways coming up soon. I love Amish Books and this one sounds so good, please add me to your Giveaway. Ingrid, you added! Thanks for reading my blog and leaving a comment. Stop by any time and look for more book giveaways. Sounds like a great book. I would love a chance to win it. Cheri, you're welcome. Thanks for leaving a comment and reading my blog. I really enjoy Amish books. Love to read this. pbclark, thanks for stopping by. I appreciate your loyalty to read my blog. Thanks for commenting.